Is naturally supporting egg health where you’d like to focus? For many, declining egg health related to age or other factors like diminished ovarian reserve (DOR) is the main fertility issue they’re working to address. They often have learned of DHEA as they begin their research. 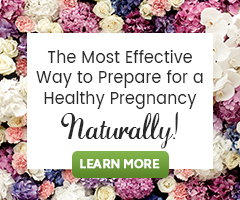 Supporting and educating you on your fertility journey is our primary mission! Keeping that in mind, we would like to share with you some good news about the supplement DHEA to benefit your egg health. Today, around 1/3 of clinics use DHEA in their fertility treatments for women with diminished ovarian reserve (DOR) caused by aging or premature ovarian aging. Studies find DHEA enhances the androgen-rich environment in which egg follicle production thrives. We are familiar with the role of estrogen and progesterone in fertility and conception but are only beginning to understand the role of androgens. Androgen production clearly declines with age in men and women. Yet, androgen hormones are important for women’s sexuality, cervical mucus production and for a healthy ovarian environment. Further, higher androgen levels have a rejuvenating effect on the ovaries, enhancing follicle development, egg quality, and egg quantity in fertility treatments. A growing body of research shows DHEA supplementation can improve embryo quality, increase IVF success rates, and could reduce chromosomal abnormalities that lead to miscarriages for women with diminished ovarian reserve. DHEA (dehydroepiandrosterone) is a steroidal, androgen hormone. It’s a precursor hormone that converts into estradiol and testosterone in the body. It supports fertility, normal aging, immune function, and signaling between cells just to name a few. Your body’s natural DHEA production peaks in the 20s and then declines by about 20% each decade after that. Bio-identical DHEA (synthesized from Wild Yam) is available today in many natural foods stores and is widely used to address low DHEA levels in older men and women. Use DHEA with medical monitoring because it can metabolize in various ways in the body (including into excess estrogen or testosterone). Avoid DHEA if you have PCOS as most women with PCOS already have elevated androgen levels. If you’re taking DHEA, consider a monthly hormone panel to see how your body is responding. Most women take between 50-75 mg daily to support ovarian reserve. If you’re undergoing medical fertility treatments, talk with your doctor about using DHEA during your cycle. A typical treatment time with DHEA is 1-4 months with medical monitoring. DHEA is a steroidal hormone and can produce side effects like oily skin, acne or increased sweating. It can also promote more energy and a stronger libido! Be patient. Allow yourself time to acclimate to DHEA and make adjustments to your dosage with your doctor if necessary. In addition to antioxidants like Ubiquinol and following a Fertility Diet, the supplement DHEA stands out as a promising option for women with egg health concerns who are planning for natural conception or for a fertility treatment like IVF. And again, please discuss its potential benefit for you with your healthcare provider. We share more on DHEA in our guide DHEA and Your Natural Fertility. Each reference list shares of studies should the author have used them. At the end of articles just above the author bio is “+References”. That is clickable to see the list.